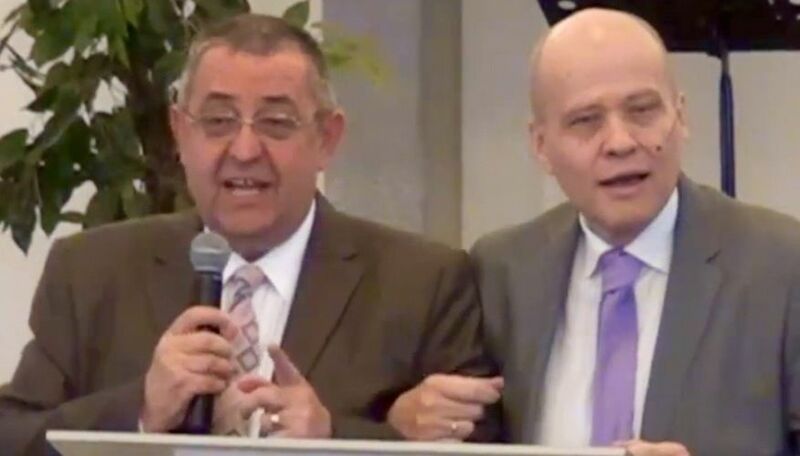 A series of court proceedings will be held in Romania´s capital Bucharest between September 24th and November 4th regarding efforts to «steal» the Romanian Bible University property owned by the Romanian Assemblies of God (AG). President of Romanian AG, Ioan Ceuta, is a member of European Coalition of Apostolic Leaders (ECAL). Ioan and Jan-Aage in June 2015. - We need the grace from the judge to be fair with the property case and not to be influenced by «the mafia», says Ioan Ceuta in an email to ECAL Convenor Jan-Aage Torp. - God can change the situation so that we receive the whole property back, which has been stolen from us. We believe the Jericho walls will come down! declares Ioan Ceuta. - Please pray for full victory! - I have seen a good development of Romanian AG and the conglomerate of educational institutions that Ioan & Emilia Ceuta with their movement have built in Romania, says Jan-Aage Torp who visited them in June this year. - They seem to have a mandate for educational development in a society that is historically education-focused. Both Ioan & Emilia have PhD´s from Bucharest University, and now even their daughter Alina, and their youngest daughter Stefania is going down the same path. They have some churches in Romania, much because of their educational emphases, says Jan-Aage. - Let us stand with Ioan Ceuta and their movement in these times! says the ECAL Convenor.